COLUMBUS, OH – The PAST Foundation and JadeTrack both headquartered in Columbus, Ohio recently partnered together to create the Energy4Learning program. With the help of others such as IGS Energy, New Albany Plain Local Schools, Air Force One and DENT Instruments, they have created a program that offers students an opportunity for real world experiences that helps them hone in on their problem solving skills allowing them to practice collaboration, design thinking, creativity, and experimentation while addressing the task of providing clean and sustainable energy for the future. Unemployment might be low, but unfilled STEM jobs are many. One of the challenges facing us today, especially in Ohio is how do we best align our instruction with what is needed in the workforce? “The reason why we partnered with PAST was to help educate future leaders on energy and sustainability. By providing the teachers and students with real-time data about their own facilities, we can educate students on future career opportunities in energy and provide them experiences to apply data to solve real problems. Ultimately, we found that the students have intrinsic motivations around why they care about the environment and energy conservation,” commented Ryan Prestel, JadeTrack’s CEO. “School districts are looking for ways to create meaningful learning experiences for students. We believe this program which includes PAST-facilitated professional development for the educators, will allow us to create more value for a school district than if they were to just deploy a standard energy management solution or a hypothetical energy conservation program for their key stakeholders. Come and visit PAST and JadeTrack at the OSBA Capital Conference and Trade Show Monday, November 12 and Tuesday, November 13 at booth 423. 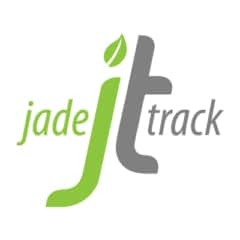 JadeTrack is a sustainability analytics platform that provides a summary of your energy, water, waste and emissions data. Our software solution is intended to help busy energy and sustainability managers make sense of all their data. We provide robust data visualization and analysis tools to help our customers create impact – financially, socially and environmentally. For 18 years, PAST, a non-profit foundation, has been a leader in designing STEM education across the nation, bringing transdisciplinary problem-based learning to educators and experiential programs to students. Most notably, PAST was recognized by the U.S. Department of Education for its Excellence in Innovation in the STEM 2026 vision report. PAST was the only educational entity in Ohio to be included in this publication (full report).